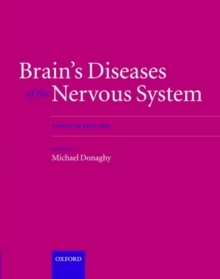 The twelfth edition of this classic neurology textbook builds on the success of the previous editions, including further contributions from highly experienced and well established authorities in their fields. As in previous editions the book is arranged by disorder to provide detailed coverage of the full range of major neurological conditions. There are various new and revised sections, including an updated section on genetics and on developmental neurology, andthe introductory chapters have been reorganised and substantially re-written. Extensively referenced and in one complete and comprehensive volume, this new edition continues to be the definitive guide to clinical neurology.